Don’t worry – neither Al or myself will be in front of the camera (we weren’t looking forward to the extra 10lbs it adds to your weight) but rather have been working away on the details of the set. We were charged with “papering the castle” to create a scene that could be used to create an imagined fairy tale of paper walls and leaves. The shots of this are being used for camera tests and pre-production and although the production company ImaginationFilm had very specific areas that needed covered they were also happy to leave the creative decisions to ourselves. The art department – including the wonderfully talented Malorie Shmyr – did a great job of painting our paper (which was Tyvek) and the leaves. It really made our jobs so much easier to be able to have this to begin with. Over the three days install we managed to get through about 70 sticks of glue (and one of the three glue guns which burnt out) but had a great time. 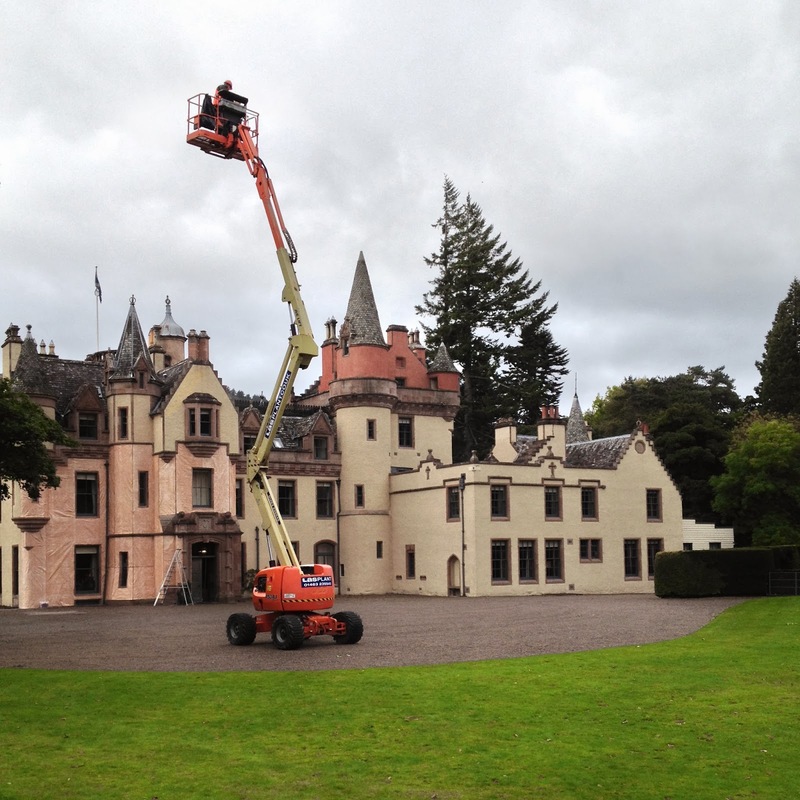 Al in particular enjoyed playing in the cherry picker while I enjoyed having my feet firmly on the ground.